I am a diocesan priest ordained on 24 February 2001. 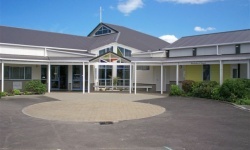 I grew up in Taradale, Napier where I went to Reignier School and St John's College, Hastings. After that I went to Canterbury University to study law and history and was admitted to the bar in 1993. After a short OE I returned to study for the priesthood. 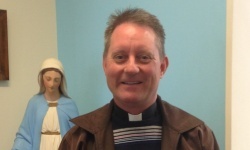 My priestly ministry has been for the most part in Palmerston North and Feilding although I had a four year stint in Rome to study Canon Law. 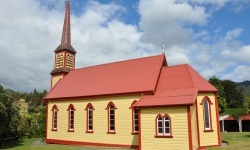 I love the Church and the priesthood so to be a priest in a place of such faith and tradition as Whanganui is tremendous. 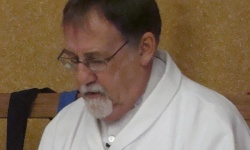 Father John was ordained in 1978 and has served in a number of parishes in the Diocese. He has been a member of the National and Diocesan Liturgy Commissions. 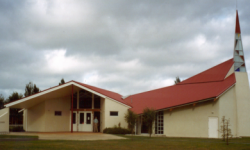 He first came to Wanganui in 1959 to attend secondary school, and returned in 1992 as Parish Priest of the newly built Holy Family Parish. He returned again to serve in St. Mary's and St. Anne's Parishes. 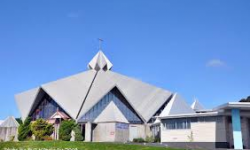 He is currently the Priest in solidum of The Catholic Parish of Whanganui, with particular responsibility for rest homes and hosptial care.